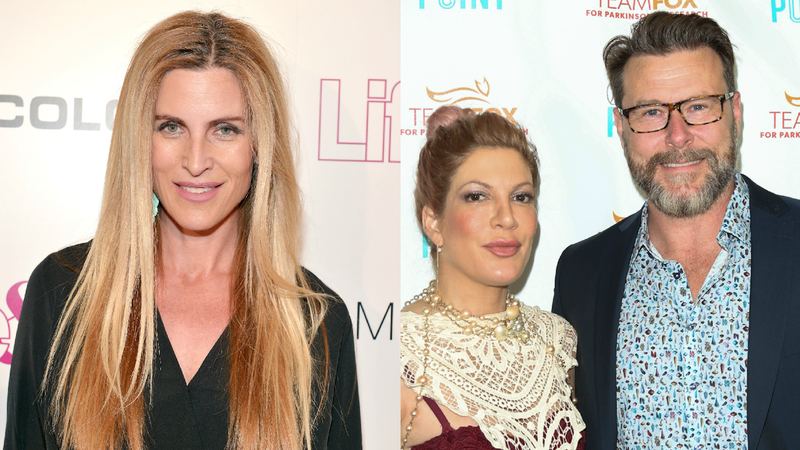 The drama surrounding Tori Spelling is continuing to escalate. Just days after police were reportedly called to Spelling’s home to address an alleged mental breakdown she had, McDermott’s ex-wife, Mary Jo Eustace, is spilling more tea about the family’s financials (though tea we’re not sure we’re drinking since she has so much against Spelling and McDermott). While we’re taking Eustace’s account of things with a big grain of salt, this does line up with what others close to Spelling have been saying — that her family is still deeply in debt and McDermott is struggling to provide steady cash flow, so it’s been falling to her to support the family of seven. Eustace said Spelling has confided in her about frequent migraines and stress. Police didn’t take any action that we know of when they responded to Spelling’s home last weekend. But from the sound of things, the reality star is in a rough spot. We hope she gets through it soon.